Dennis Itumbi has spoken up about his friend Jacque Maribe’s life in prison for the last two weeks. The Citizen TV journalist has been in detention at Langata Women’s Prison for her alleged role in the murder of Monica Kimani. 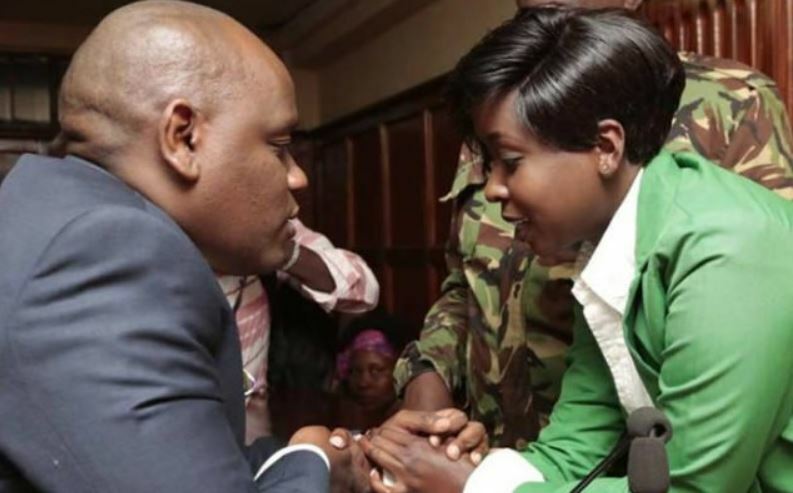 Itumbi, who has been visiting her in detention and during court proceedings, says Ms Maribe has been strong and happy that justice will prevail. “Maribe will tell her story at one point. She has been strong, confident and even happy because the truth will prevail, no matter how much lies you put in,” Itumbi said. Jacque Maribe is said to have been receiving a throng of visitors, including media personalities and politicians like Moses Kuria. The source added that “she can choose to see you or not. The prison warders normally write the names of the people who have shown up to see her on a piece of paper, and she okays the list of those who will be allowed to access her”. Itumbi said the prison has been receiving Jacque’s visitors every day from 8 am to 12 pm. Others also check in from 2 pm to 3.30pm on weekdays and from 9 am to 4:30 pm on weekends.